Not Sure Which Catheters is Right For You? Looking for the right Catheter? 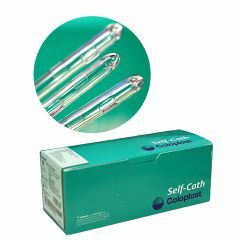 Let America's Discount Source for Catheters and Catheter Supplies provide you with all your catheter needs. Since 1996 Allegro Medical has offered discount prices to catheter users on, Straight Tip Intermittent Catheters, Hydrophilic Catheters, Coude Tip Catheters and Sterile Closed Catheter Systems, Foley Catheters, External Catheters and Sterile Lubricants. Need a convenient way to get your catheters delivered monthly? Just sign up for our "Monthly Delivery" program and get your catheter supplies delivered every 30 days - or as often as you need them. Want Special Discounts & Coupons on Catheters and More?